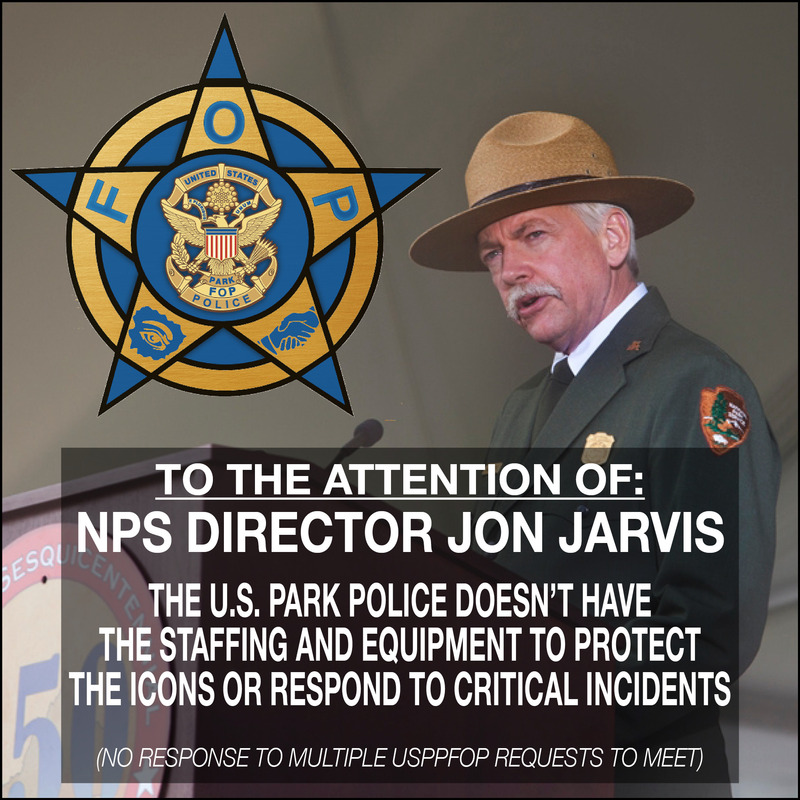 National Park Service (NPS), Director Jon Jarvis has not responded to multiple requests from the United States Park Police Fraternal Order of Police (USPPFOP) to meet to discuss the unsafe operational readiness of the U. S. Park Police (USPP). Due to the reckless neglect of the NPS, the USPP doesn’t have the staffing and equipment needed to effectively protect the “treasured icons” or respond to critical incidents. Please, if you have a way, respectfully request Director Jarvis to meet with the USPPFOP to hear the concerns of USPP officers. ← USPP “INCREASING PATROLS” and ALWAYS HAS “ROBUST” PATROLS ??? ?